Bring Kaya's adventures to life! 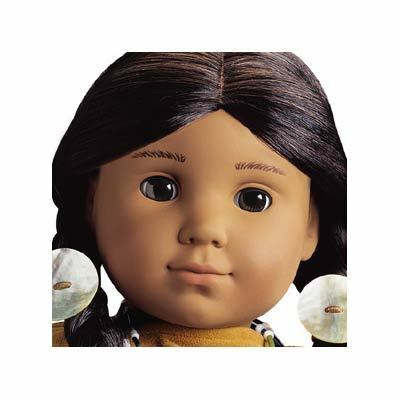 The Kaya doll is 18" tall, with deep brown eyes that open and close. 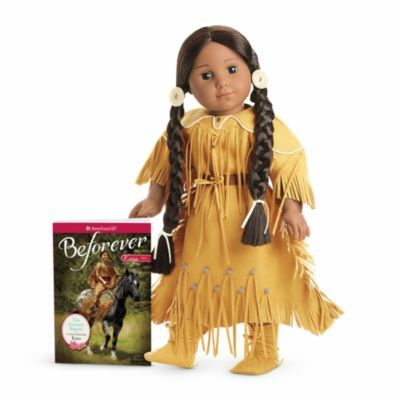 She has long, shiny black hair that can be brushed and braided, and she arrives in a special Nez Perce outfit from 1764. Kaya is soft and huggable, and she's poseable for hundreds of playtime moments to come. 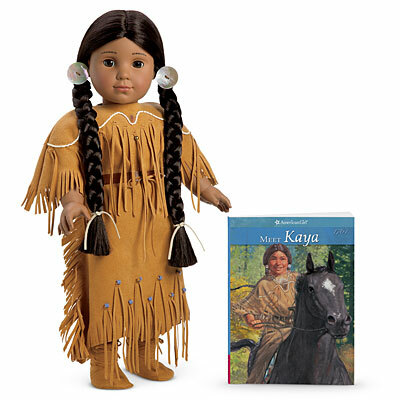 The Kaya doll has a huggable cloth body, and her movable head and limbs are made of smooth vinyl. Includes the Meet Kaya paperback book, the first story of this daring girl learning the ways of her Nez Perce tribe. BeForever Kaya has a thinner wig that is set higher on her forehead. Singing Bird and Kirsten Wish You a Happy Thanksgiving!